AstroSage Magazine: Monthly Horoscope – How Well October Will Treat You? Monthly Horoscope – How Well October Will Treat You? Here’s how you might get lucky! 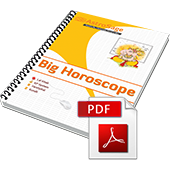 Read out monthly horoscope predictions for every zodiac sign and get an idea about how October is going to treat you. Stay prepared and evaluate every step in life to attain success.